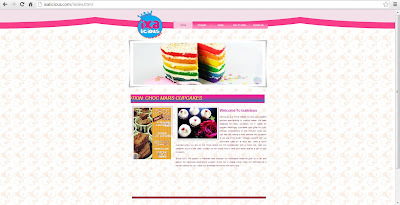 We have officially launched our website www.ixalicious.com. Please visit the site for more updates including updated price list, photo gallery and promotions. We have moved to our official website www.ixalicious.com. Please visit the site for updated price list, photo gallery & promotion. Please call between 8.00 a.m - 10.00 p.m only. Thank you. For more flavours and designs; kindly browse our items as labeled below.